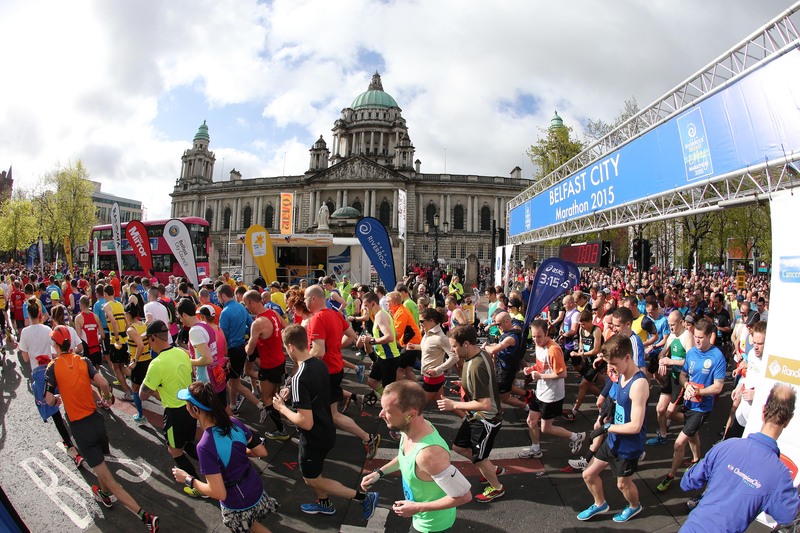 Press Eye - Belfast - Northern Ireland 4th May 2015 - 2015 Deep RiverRock Belfast City Marathon, Northern Ireland. General view of the start of the marathon. Picture by Kelvin Boyes / Press Eye. There will be a £20 surcharge fee added to all Team Relay, Marathon/Wheelchair Marathon and 8 Mile Walk entries. All Fun Run entries will have a £5 fee added to them. Come on, what are you waiting for...sign up now at and be part of our 35th year.